An economic solution for junctions obscured during road works. Clearly visible to motorists these mirrors contribute to accident prevention. 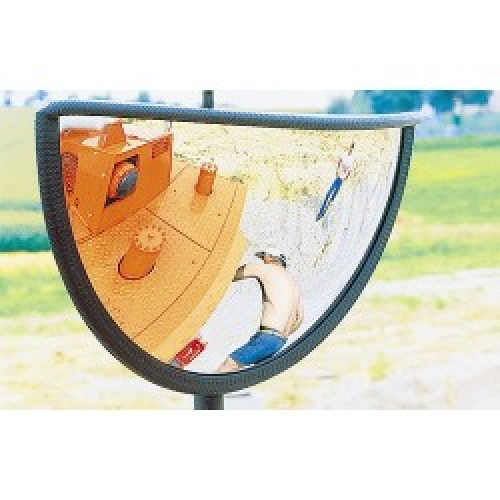 Plant machinery safety mirror - A panoramic view of 180° in front of the wheels. Fitted with anti-frost and anti-condensation system.